As anyone with cable internet knows companies charge a rental fee on cable modems, which most pay since they often think it is too hard to replace it with their own. Replacing a cable modem is a easy task that most anyone one can do and save on the monthly rental fee. The fees can range from $5-$10 dollars a month which when added up over a year or more and can add up quickly. I recently replaced my cable modem with my ISP and the steps were simple. I had my new modem installed and running in less than 10 minutes. The first step is to buy a new cable modem. DOCSIS (Data Over Cable Service Interface Specification) is the standard used by cable companies to talk to a modem. The newest standard is DOCSIS 3.1 which was release in October 2013. Most all cable companies use DOCSIS 3.0. DOCSIS 3.0 and 3.1 are backward compatible with earlier versions. So even if your cable company is still using the old DOCSIS 2.0 standard a new DOCSIS 3.0 cable modem will work. 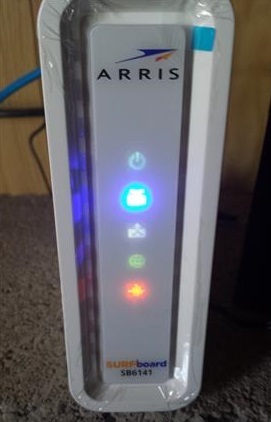 I bought the ARRIS SURFboard SB6141 DOCSIS 3.0 Cable Modem. There are cheaper units if your on a budget and more expensive top-end units that come with more features such as a built-in router. I had recently bought a new 802.11ac router so I decided on the ARRIS SURFboard since it is a good mid-range unit. Next write down the phone number for your cable company tech support line to be able to activate the new unit. They will need the MAC address labeled on the router to activate it once it is hooked up. Some companies have a activation page to enter the router MAC address but calling their tech support line may be easier. Especially since you may not have a internet connection during setup. Everything needs to be plugged in before calling in the new activation Mac address. The cable line simply screws onto its port. 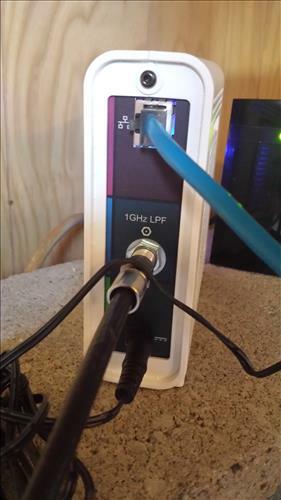 The Ethernet line goes to your router which transmits to all your devices. After everything is plugged in call in your new Mac address to activate the new modem. Once they have the new Mac address the new modem will be online. The router will also need to be reset to get a new IP address. Setting up a new cable modem is a easy task and a good way to save on cost long term. Deciding on which modem to buy will be the hardest part since there are many available. 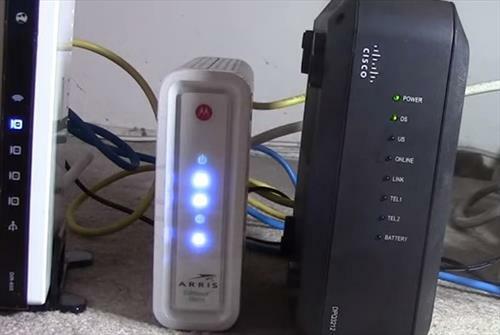 Depending on your internet service provider speeds a top end modem may not help with faster transfers. For example if your speed is 50Mbps a new modem that can transfer at 500Mbps will never be maxed out and a cheaper one bought. If you have a older router buying a combo modem/router is also a option which may help with a faster connection. 802.11ac is a WiFi protocol introduced in 2013 that has high speed data transfers. Everyone one will have a different setup to fit their internet environment. Simply be sure to read the reviews on Amazon or elsewhere to see which modem is a good fit for you. How ever your internet is setup replacing the rental fee from your provider is a good way to lower cost. I am setting up service with Comcast and decided to get the ARRIS SURFboard SB6183 to avoid paying their monthly extor…rental fee. I’m excited to pair it with my new 802.11ac router. I hear with the 6183, download speeds with Comcast are higher than advertised. Anything beats the AT&T 6Mbps DSL line my new service is replacing.